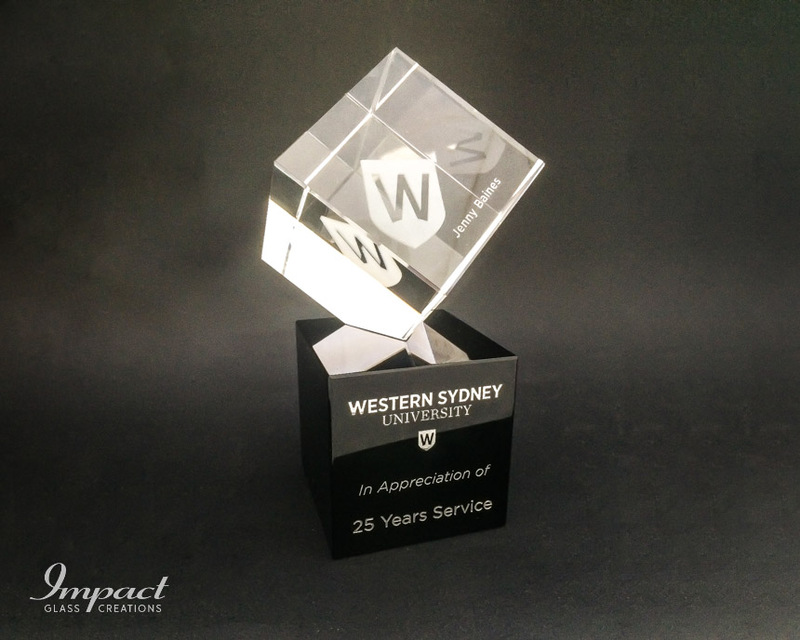 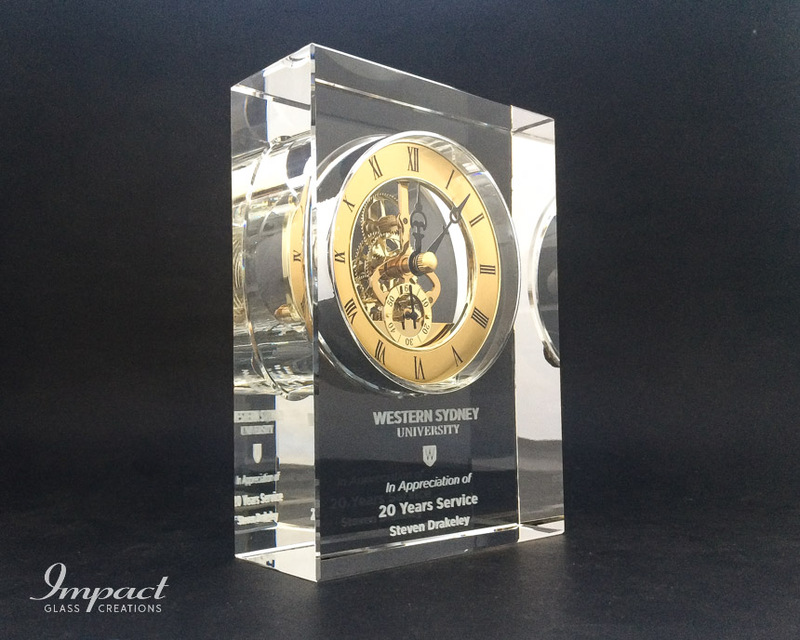 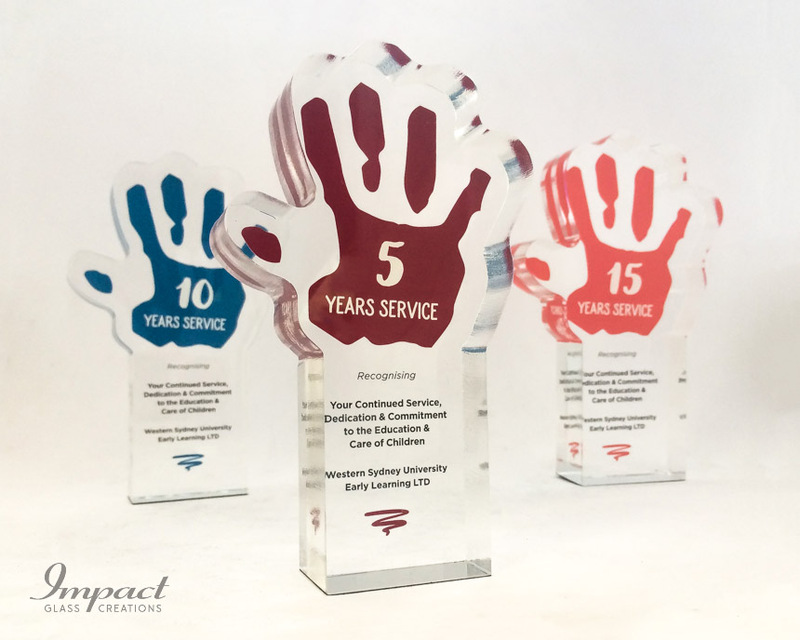 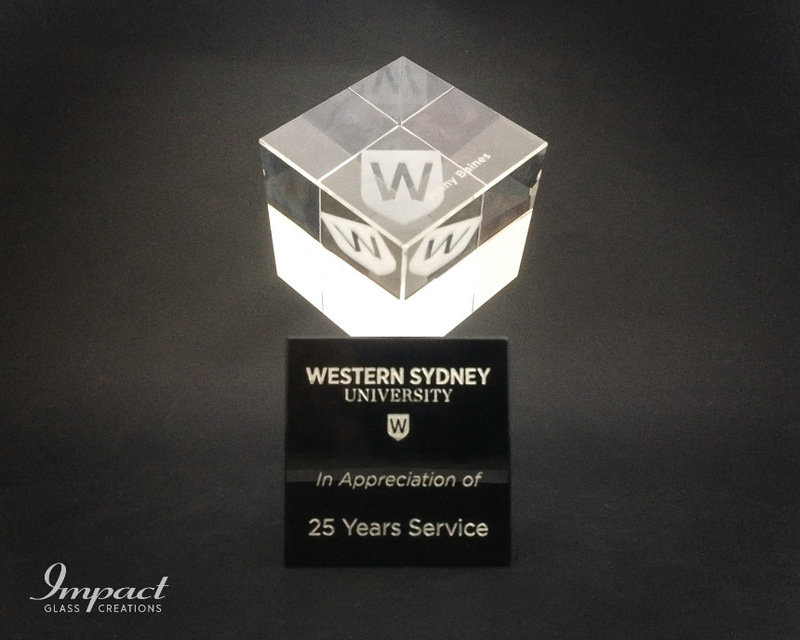 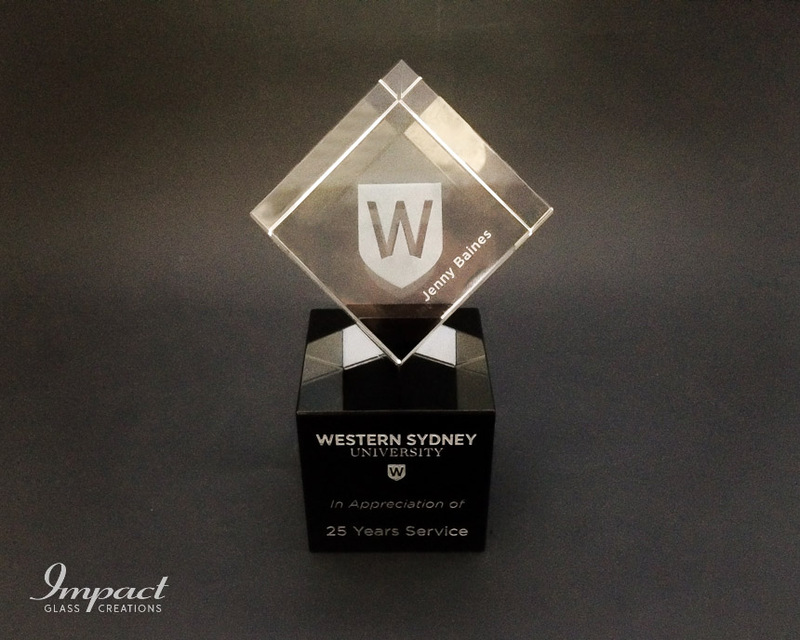 This striking piece is presented as 25 years of service award at Western Sydney University. 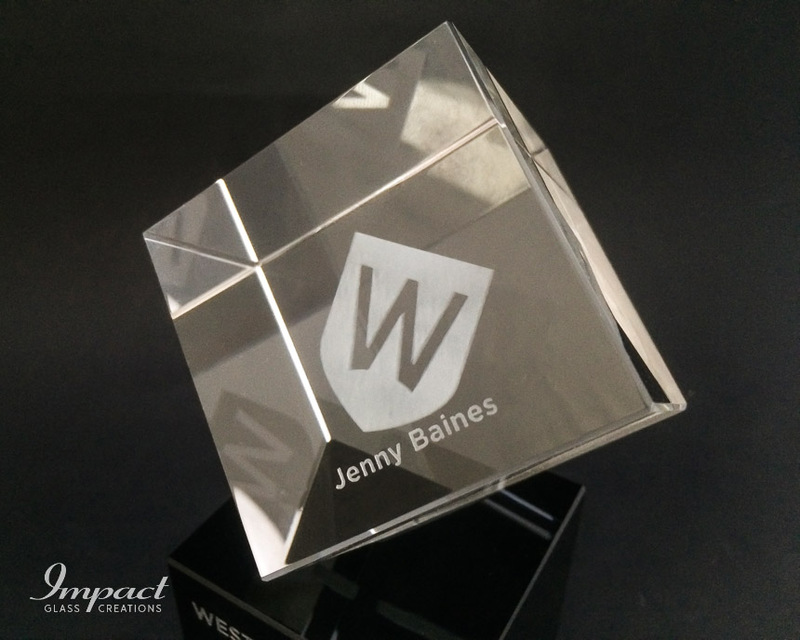 The clear corner cut cube is branded with the universities logo and subtly personalised with the recipient’s name. 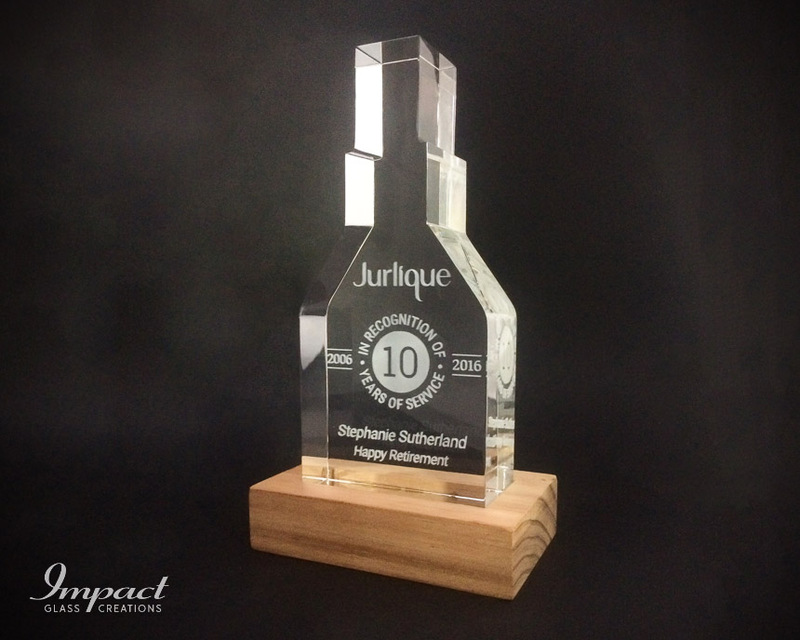 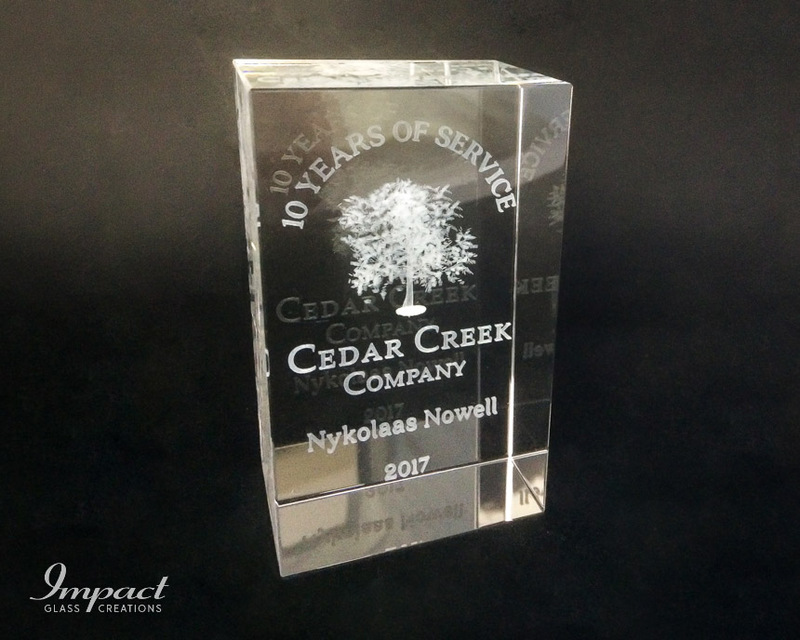 The clear cube is bonded to the black base using an optically clear agent, giving the appearance of the award being as one. 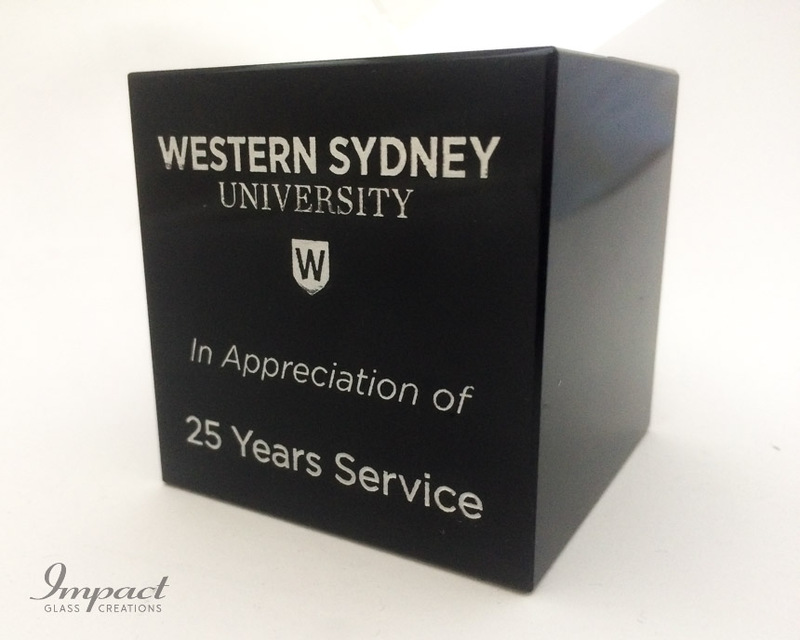 The base has been engraved with a silver colour fill.